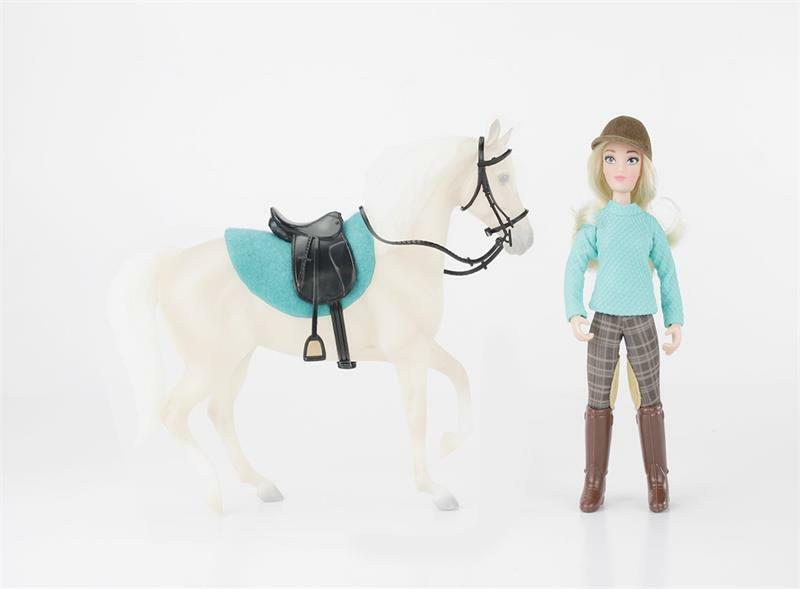 Set includes: 6" Articulated English Rider Doll, Black Faux Leather English Saddle, Black Faux Leather English Bridle with Reins, and turquoise English Saddle Pad. 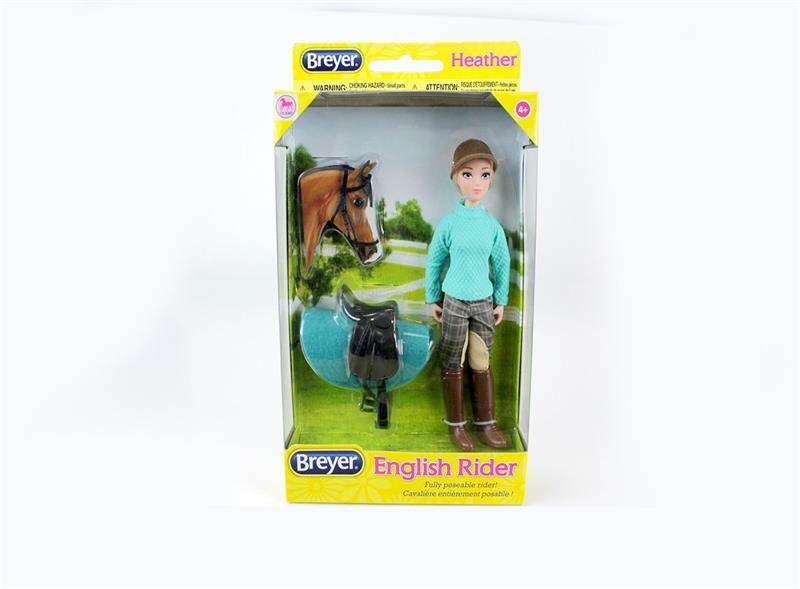 This 6" articulated English rider is looking stylish in her plaid breeches, and has a coordinating saddle pad for her horse! 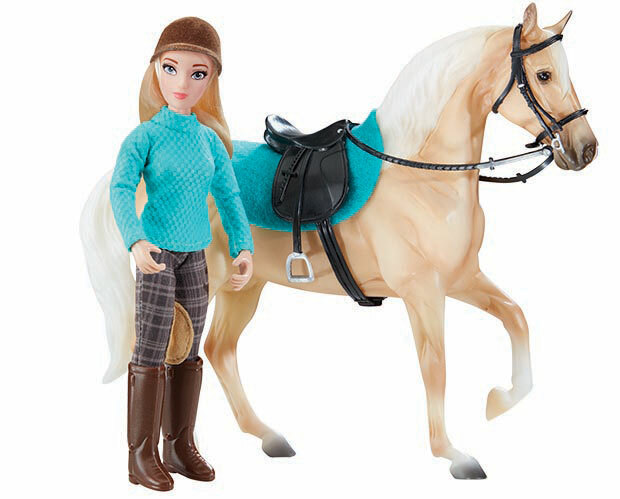 Includes: 6" articulated doll, English saddle and bridle, and saddle pad. Please note: Classics Size Model Horse shown is not included in this set, it may be purchased separately. This lovely English rider is casually dressed for a lesson on her beautiful bay roan horse! Hand-painted! 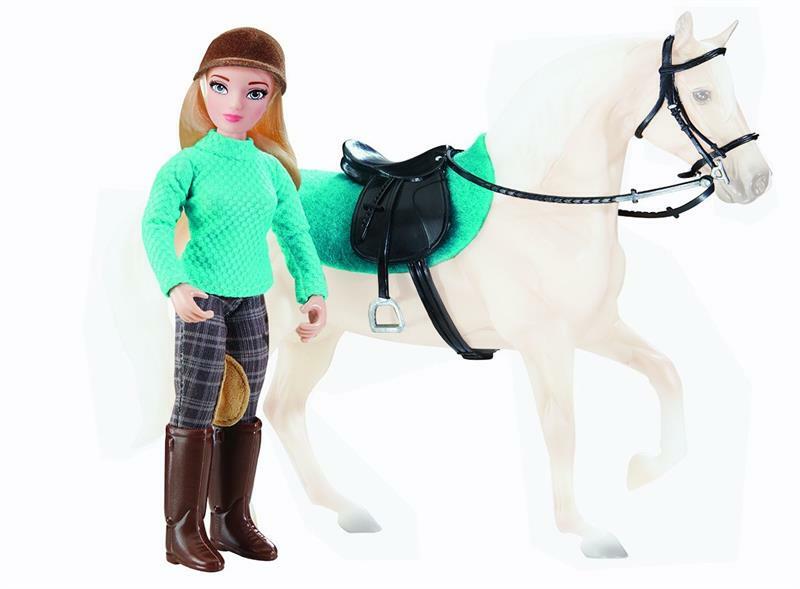 Includes: 6" fully articulated female english rider doll, warmblood type horse, saddle pad, English saddle and bridle.